While in the vicinity of Jaw Point at Glacier Bay, Alaska, Holland America Line’s ms Noordam assisted 41 persons on a disabled sightseeing boat Wednesday, June 10. Noordam responded to a call for aid at approximately 12:35 p.m. local time to assist the 79-foot sightseeing vessel Baranof Wind, which was experiencing mechanical troubles near Johns Hopkins Glacier. 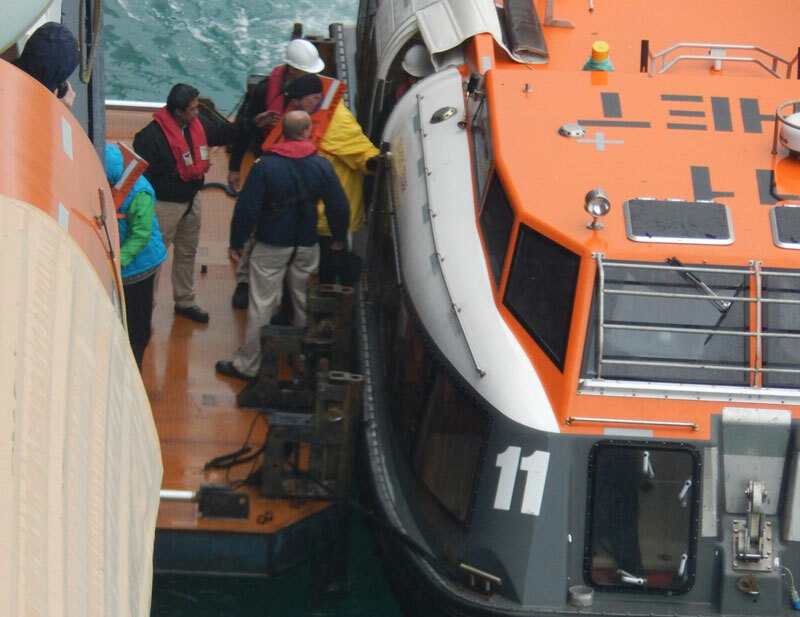 The ship lowered a tender, which collected 40 tourists and one Glacier Bay National Park ranger and returned to Noordam. Following lunch onboard Noordam, the sightseers were brought to Bartlett Cove, where the Baranof Wind excursion originated, at approximately 5:30 p.m. local time. Noordam then sailed for its next port of call,Ketchikan, Alaska, where it arrived on Thursday, June 11. Noordam was in the middle of a seven-day Alaska cruise that sailed round trip from Vancouver, British Columbia, Saturday, June 6.